Built in 2005, by the Foss Maritime Shipyard of Rainier, Oregon (hull #3) as the Morgan Foss for the Foss Maritime Company of Seattle, Washington. She was the first Dolphin class tractor tug designed by Robert Allan Limited of Vancouver, British Columbia. For the Foss Maritime Company of Seattle, Washington. 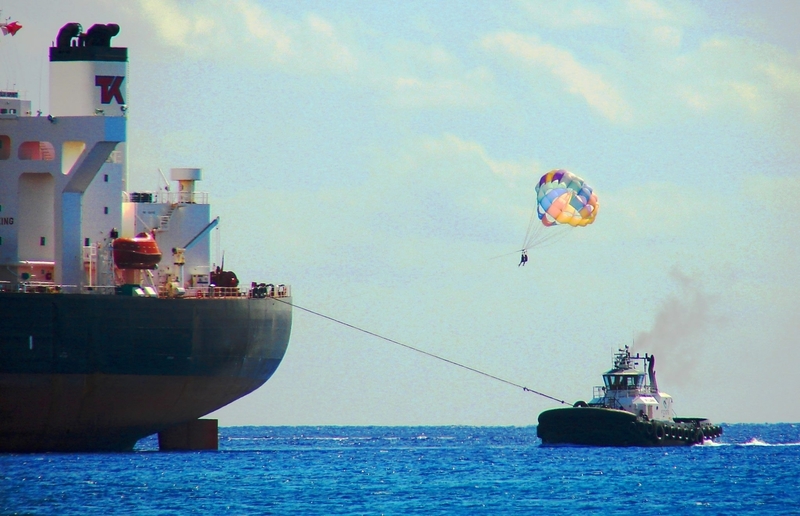 In 2009, the tug was chartered by the Hawaiian Tug and Barge Company of Honolulu, Hawaii. Where she was renamed as the Pi'Ilani. Powered by two, Caterpillar 3512B HD diesel engines. With Rolls Royce US205 FP z drives. For a rated 5,080 horsepower. The tug's capacities are 10,000 gallons of fuel oil, 342 gallons of lube oil and 500 gallons of fresh water. Her towing gear consists of a Markey DEPGF-42 hawser winch mounted on her bow and a Markey DEPC-32 stern barge handling winch.